Call the longest established master locksmith in High Wycombe for all of your key cutting needs! We supply and install safes for individual home owners, businesses and authorities in Oxfordshire, Buckinghamshire and Berkshire. Ask one of our team for a brochure of our alarms and to book your FREE home survey to assess what type of alarm is best for your property. Then call the longest established Master Locksmith in High Wycombe! 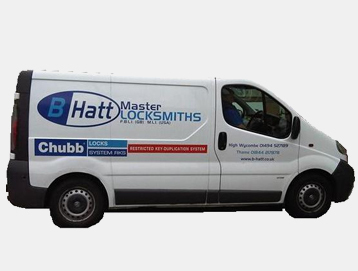 Our family run business has been trading for over 50 years, our staff are all fully qualified and we are members of The Master Locksmith’s Association. We have many security products which are available, in stock in our West End Street shop and ready to take away today. We welcome all enquiries, we supply and install all of our products and also offer a free home survey to discuss your home security requirements, ask our friendly staff for more information on how we can make your home or office more safe and secure. We are based in High Wycombe but offer all of our services throughout Oxfordshire, Buckinghamshire and Berkshire.